It seems the Queen has broken royal protocol once again for her granddaughter-in-law, Duchess Meghan. 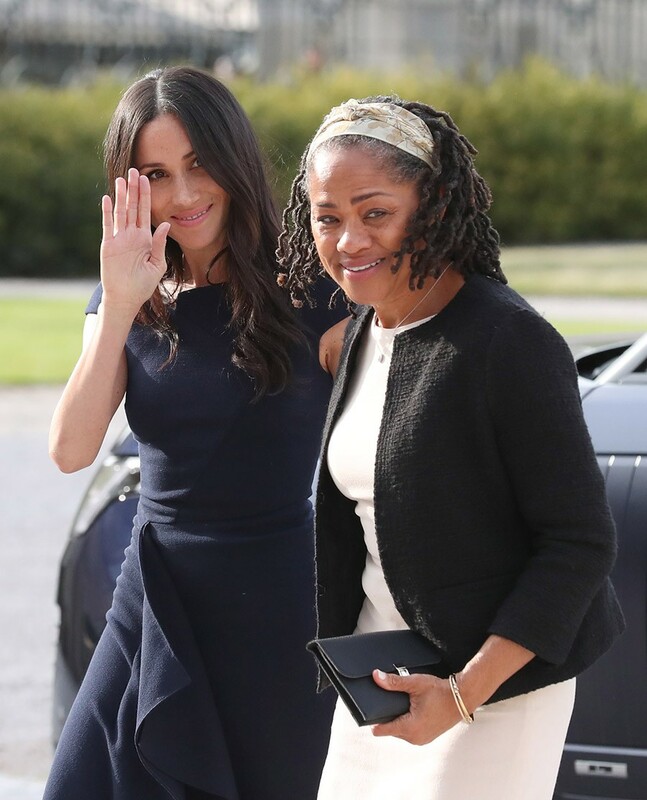 According to the Sunday Express, the Duchess of Sussex’ mother, Doria Ragland could be invited to spend Christmas with the royal family at Sandringham. Doria is said to have been invited as a ‘mark of respect’ by Her Majesty, for Meghan – who is expecting her first child in April next year, with husband Prince Harry. The Sunday Express also reported that it was a “very thoughtful gesture” for Doria to be invited, and quite an unusual move for the traditional Queen. The invitation would break a precedence which has never even seen the Middleton family invited to the Norfolk estate. However, as Meghan has no other family in the UK, it seems only natural that Doria be included. Royal protocol also went out the window during last year’s festivities when Meghan was the first ever “non-spouse” to attend Christmas Day. At the time, the only royal source, Kensington Palace, confirmed the news. “You can expect to see the Duke and Duchess of Cambridge, Prince Harry and Ms Markle at Sandringham on Christmas Day,” it read. Meghan’s invitation marks a break in tradition for the royals, making her the first “non-spouse” to attend the family gathering. This will be Meghan’s first Christmas as a fully-fledged royal family member, as well as her first, with child. Naturally, the royal family were “delighted for the couple.” once the news of their pregnancy was announced. The Palace confirmed that the Queen, Prince Philip, Prince Charles, Prince William and Duchess Catherine were notified of Duchess Meghan’s pregnancy at Princess Eugenie’s wedding and the Duchess of Sussex’s mother, Doria Ragland is excited to become a grandmother. “Ms. Ragland is very happy about this lovely news, and she looks forward to welcoming her first grandchild,” Kensington Palace said in a statement. Personally, we are very excited for next year’s Christmas when Prince George, Princess Charlotte and Prince Louis’ baby cousin will actually be born! Until then, we cannot wait until the photographs of the awesome-foursome and the rest of the royal family come out!